I came across this historical marker while we were hiking to the Sag Pond Trail on Saturday at Sea Ranch. 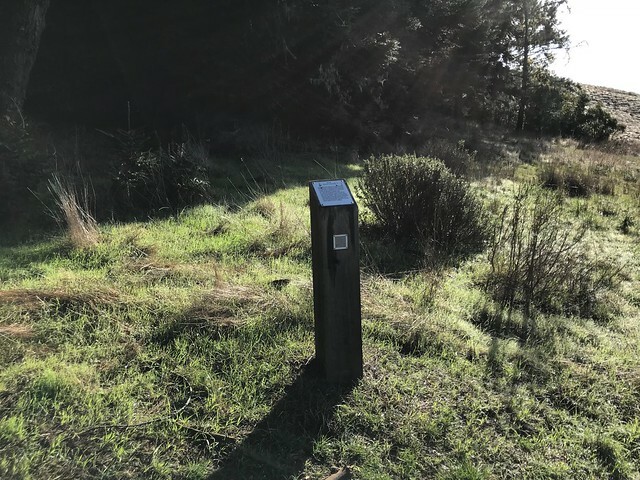 This site is located near Sea Ranch Trail Marker #252. The Sea Ranch Archives Committee has identified twenty-six historic sites scattered about The Sea Ranch. They have constructed trail markers with information explaining the significance of each place. They were placed as part of The Sea Ranch 50th anniversary being celebrated from Memorial Day 2014 to Memorial Day 2015. 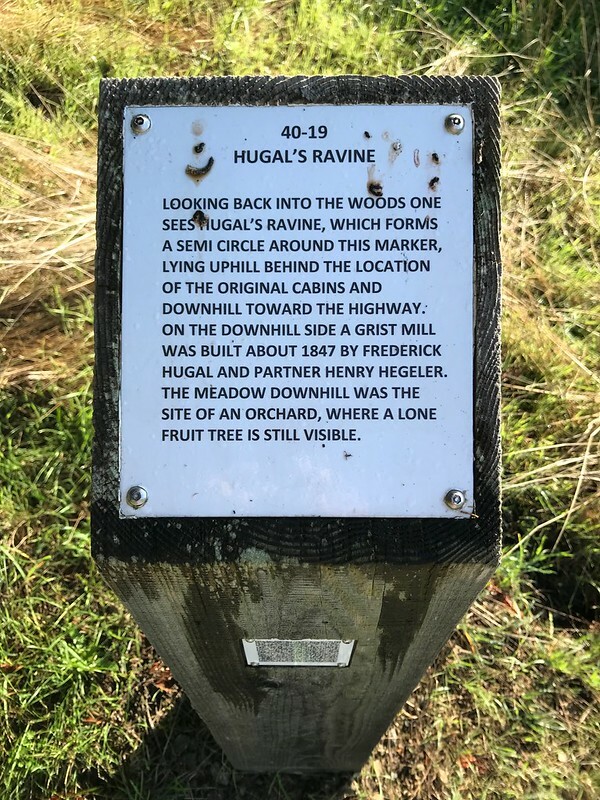 The GPS coordinates for this location are 38° 43' 05.0" N 123° 27' 10.5" W.
Looking back into the woods one sees Hugal's Ravine, which forms a semi circle around this marker, lying uphill behind the location of the original cabins and downhill toward the highway. On the Downhill side a first mill was built about 1847 by Frederick Hugal and partner Henry Hegeler. The meadow downhill was the site of an orchard, where a lone fruit tree is still visible.